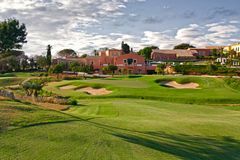 In contrast to the household names that Portugal, Spain and France are best known for, central Europe’s golfing landscape is filled with undiscovered gems. Continental Europe is rated 4.8 out of 5 based on 10 verified reviews from YGT customers. They played and stayed (we even checked they signed their scorecards). These hidden delights are packed into Belgium and Italy, while the somewhat unheralded destinations of Austria, Germany, Switzerland and the Netherlands defy their modest reputations with some first class courses and resorts. Belgium has emerged as a fantastic alternative to northern France, as the outstanding courses are also extremely accessible via Calais. The city of Brussels is one of northern Europe’s most fascinating architectural capitals, while into the centuries-old forests of the neighbouring Brabant Wallon region are carved phenomenal courses like Royal Waterloo and Hainaut. Along the North Sea coastline, a stone’s throw from Bruges, lie classic links layouts like Royal Oostend and Royal Zoute, underlining the surprising wealth of options available across Belgium. A golf holiday in Italy presents the opportunity to experience the country’s immense architectural, cultural and gastronomic landscape, alongside visiting a few of the superb golf courses. From Milan and Lake Como in the north to Sicily, Sardinia, Tuscany, Rome, and the abundant golf of Emilia Romagna, Italy’s rich diversity presents a golf holiday to satisfy every demand. While they may not be Europe’s most immediately recognisable golf holiday destinations, Austria, Germany, Switzerland and the Netherlands can offer a fascinating alternative. If a break from the norm sounds appealing, then consider these exciting new destinations for your next European golf escape.